Choosing exterior or interior paint colors that complement the architectural details of your house and fit the character of your neighborhood is the first step to a great paint job. You will find brochures at the paint store with collections of historic & modern colours. Perhaps talk to a designer or an architect. Buy a 1 litre of each colour you’ve chosen and paint the entire color scheme on a small area of your house before committing to larger amounts. If you don’t like the results, change the colors and try again. Next step is to take rough measurement of your house, noting the type of surface. Count the doors and windows. With this information, ecolour can help you calculate the amount of paint you’ll need. Buy the best paint you can afford. 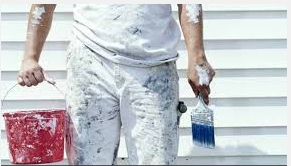 Good-quality paint is easier to apply, covers better and lasts longer.